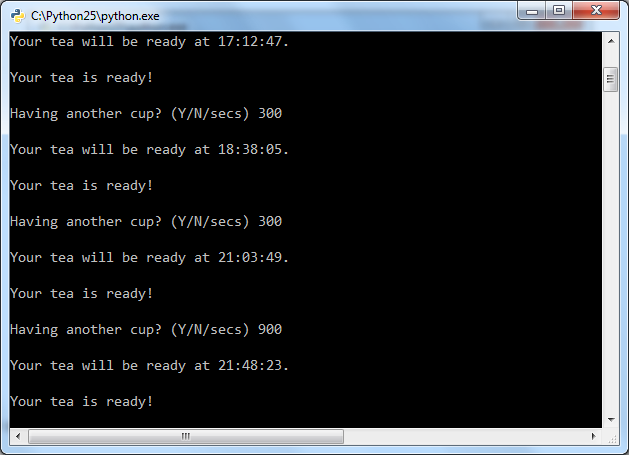 For the heavy tea drinker: Teaman is a really simple console/text-based tea timer that alerts you (with sound) when your cup of tea is ready. It is designed especially for minimum downtime between cups, and supports tea bag re-use. Truly a marvel of engineering.